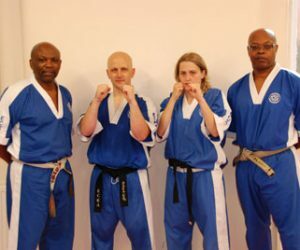 Sensei Paul Bosley receives Enfield sports coach and instructor of the year award! 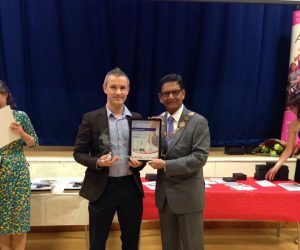 Enfield Borough Council has announced the winners of its annual sporting awards. ECKA are putting on two squad training sessions, free of charge, for anyone who placed 1st, 2nd or 3rd at either the Semi-Contact or Light Continuous Nationals in 2013. Congratulations to nine new ECKA Black belts! Team ECKA win titles at WAKO Scottish Open! Full list of results from the inaugural ECKA Milton Keynes Full Contact Fight Night. ECKA to travel to WAKO Scottish Open! 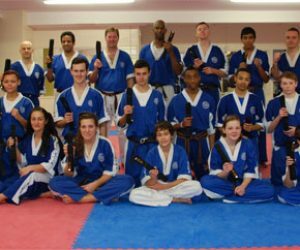 19 Successful ECKA students pass their 1st Dan Black Belts. 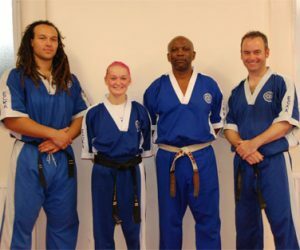 Congratulations to Mike Corbridge (2nd Dan), Danni Gedling and Liam Harmitt (both 3rd Dan) for passing their grading at the end of the 2012 Summer Course! Congratulations to Emma Baker (Hereford) and Robert Goff (Bletchley) for achieving their ECKA 2nd dan black belts today!